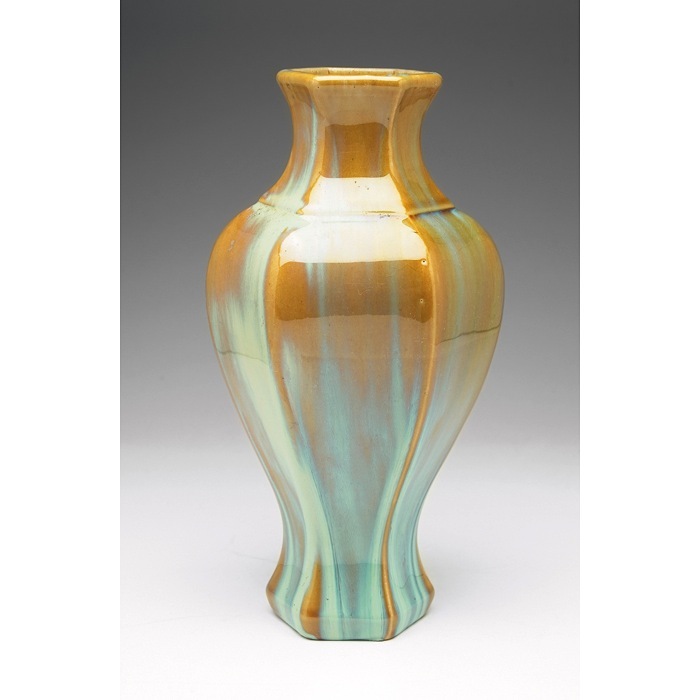 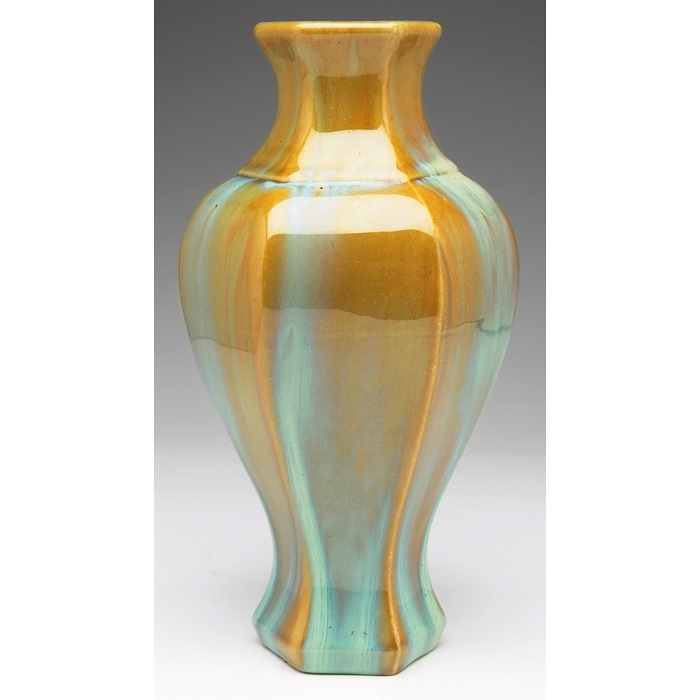 An early 20th century 6-sided vase from Fulper Pottery of Flemington, New Jersey decorated with a vibrant flambe glaze in contrasting shades of green and golden brown. 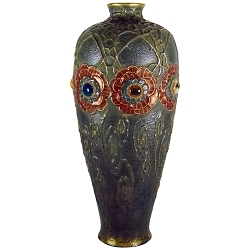 The vase measures 11 in. 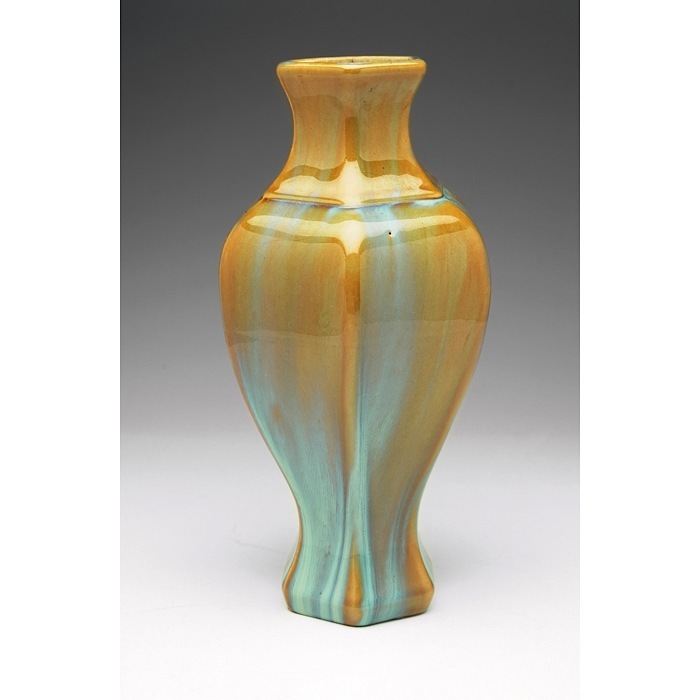 H x 6 in. 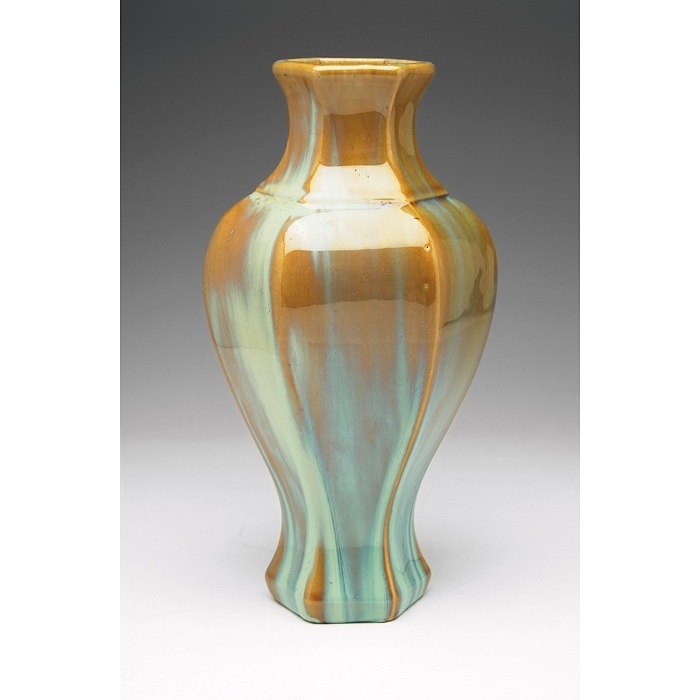 W and is in very good condition with age-appropriate crazing overall and several glaze pops inherent to the firing process; no chips or cracks. 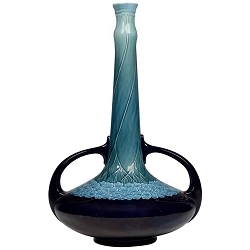 FULPER vertical mark incised underfoot.